With the affordable Alumi-Hand you trade the hazards of lead for a sterile, disposable, X-ray compatible hand immobilizer. The Alumi-Hand is made with a pliable aluminium interior for easy hand positioning and a foam exterior for patient comfort. Available in large and extra-large sizes and now in a paediatric size. 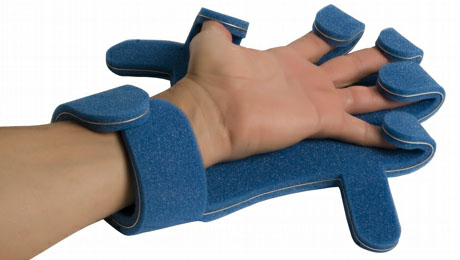 Just like the Alumi-Hand, the Dura-Hand is lead-free and X-ray compatible. The Dura-Hand is made of pliable aluminium for easy positioning. Available in large and extra-large sizes.